"You wanna piece o' me, fucker?!" 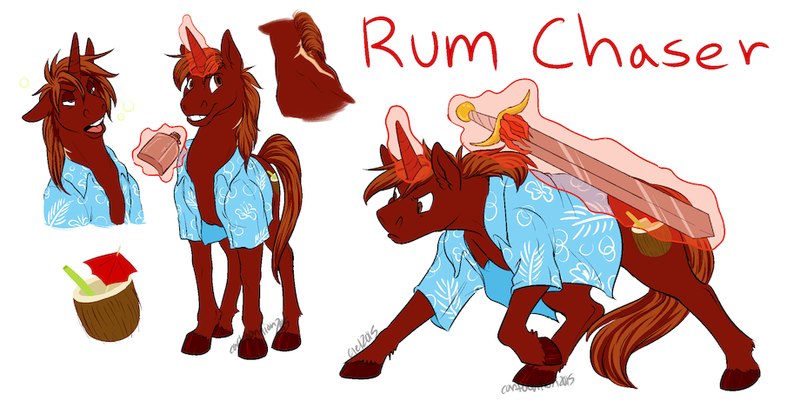 Non-anthro ref for my ponyOC, Rumford Chaser. Barkeep, brewer and high-functioning drunk.